Boris Maliutin. Player, Organiser, and One of The WW1 Interned Russians. O.K. Am back to doing what I love doing! Nope, you have never heard of Boris Evgenevich Maliutin. Yep, it's Simaginfan and another of the forgotten. However, there is some fascinating history - both generally and chess wise, to be found in this article. 1. Transliterations. Yep, it's a minefield. There are at least 5 different versions of Maliutin's name to be found, plus loads of others for names that will be found in this article. Where I am copying directly from book sources, or using database material, I may end up using different versions - forgive me my laziness - this article took many, many hours to put together, and as I say, it is a thorny subject!! 2. I have a mountain of A4 paper in front of me, and have had to be brutal with the editing to make something that I can post - huge though it is. Apologies if leaving stuff out means that some of it is disjointed. C'est la vie. Also, this is meant to be something of a reference article, not a 10 minute browse and forget. Read bits and come back later!! It is about time that I did some proper work, rather than going 'Cheap and Cheerful'. I have a passion for my subject, but sometimes life gets in the way. A short while ago, the inimitable @batgirl did a post that caught my eye. So, the Mannheim tournament of 1914. It was,, as you will see there, interrupted by the outbreak of WW1. The Russian players were 'interned' when the event was broken off, and Maliutin has left us the most important record of life for the internees. Whilst on holiday I managed to spend some time with this wonderful book. It contains full transcripts of those articles from the magazine Rech which Maliutin edited post WW1. At that time he was living in Odessa. In my article on Verlinsky I noted that Alekhine played a number of games with Verlinsky in Odessa in 1918. Gillam mentions that Alekhine and Maliutin were staying in the same hotel - the 'London' - at that time. I will give a few excerpts later, but for the whole story you will have to go buy the book and support one of the best historians out there! So, lets look at Boris Maliutin. He was born in St. Petersburg, on August 14th, 1883, according to Gillam, but one source gives the 26th - probably as a result of the 'old style ' and 'new style' calendars.. The date of his death is unclear, but he died in Rostov-on-Don in 1920. from typhus. In St. Petersburg he mainly worked in the state 'Duma' - i.e. Parliament. Although he was a reasonably strong player, he is better remembered as an organizer - being on the organizing committees of the two big events in St. Petersburg of his time, i.e. in 1909, which I will come back to, and 1914. You can find a picture of him as part of the 1914 committee on Edward Winter's site. There is also this well known photograph from that event - Maliutin is behind Tarrasch and Amos Burn. In 1913 he had become vice-president of the St. Petersburg Chess Society. With a handful of exceptions, he played almost all of his chess in St. Petersburg. Gaige gives the following that I have been unable to add anything to. The Breslau and Mannheim events were Hauptturniers, not the Master's tournaments. A couple of early games - the first played when he was a teenager. The final table, taken - as with some others here, from edochess. The two met a number of times, including the most impressive of Maliutin's early results. He played a lot of chess in the period 1904-1906, and we are lucky enough to have a few of the games. 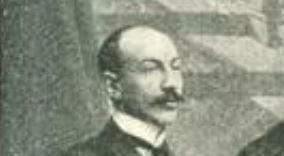 Edward Winter has sourced the following photograph, from page 88 of the A.C.B., showing Maliutin as he was at the time. Those 4 games are, I believe, wrongly attributed in the internet sources - they are given as 1905. I think that they are from the All-Russian Tournament, held in St. Petersburg in January of 1906. The table is from Donaldson and Minev's 'Akiba Rubinstein. The Uncrowned King'. Therre you will find a full page devoted to the story behind the following game. You can see hat the game score gives the result as a win for Maliutin, whist the cross - table has the result as a draw! Here - in brief - is the story. The game was played in round 12, with Rubinstein and Blumenfeld battling for 2nd place. It was adjourned, probably at move 30. At the evening resumption there was a noisy crowd - Blumenthal being particularly 'disruptive'. The two players appealed to the tournament director - to no avail - and continued the game under protest. Short of time, and no doubt disturbed by the crowd behaviour - he was well known for his nervous disposition - Rubinstein missed the winning move 45.Bh7! which was at some juncture pointed out - by Blumenthal! He then completely lost the thread, and resigned on move 56 - immediately protesting to the tournament committee. Next day the committee met with the players, and decided that the game should be restarted from the point of adjournment. Maliutin accepted the decision - even though, with the winning procedure having already been shown by Blumenthal - he would almost certainly lose. Equally sportingly, Rubinstein offered a draw instead. Later in the year Maliutin played in his only full 'Masters' tournament outside of St. Petersburg - the monstrous event at Ostende. It wasn't a great success for him! Maliutin's next big chess event was one that I have written about earlier here The All-Russian Amateur Tournament at St. Petersburg in 1909. Apart from playing in that event, he was one of the major organizers of the whole event, including the historic main tournament, 'The Chigorin Memorial'. Despite his organisational duties, Maliutin did pretty well in the tournament. One point before I forget is that one of the players who finished ahead of him - Bernhard Gregory went on to went the 1912 Hauptturnier that Maliutin was to take part in. From page 278 of my copy of the tournament book. @batgirl has the photograph in a post that she did some time ago, with an 'English' version of the line-up. Maliutin made two attempts to win the full master title via the German Haupturnier system that I have written about a number of times. The first was at Breslau in 1912. One game from the event. He seems to have played no important chess in the next couple of years - probably because hiss work as an organizer had taken precedence. As mentioned, he became an important figure -a vice-president - of the St. Petersburg Chess Society in 1913 January, I think, and secondly as one of the organizers of the legendary St. Petersburg 1914 tournament. Spraggett and Winter sources as above. Wiener Schachzeitung 1914 page 91. The next attempt to win the master title was his part in the 'Russian Invasion' of the 1914 Mannheim Tournament. Firstly the chess bit. The tournament was a failure for him. A postcard image from the event to be found in various sources. Gillam - page 190 - attempts a partial key. Maliutin is the standing figure with the stick. There is an interesting side-note to chess history that happened at the tournament in which Maliutin was involved. It took place on 19th July, 1914. From very early on in his career, Emanuel Lasker tried to set up organisations to support chess players, and to facilitate co-operation between the various national chess bodies. His idea was put forward to the organizers of the St. Petersburg 1914 event - of which Maliutin was one - and as a result a general meeting was held at the Mannheim tournament. Gillam - page 19 - quotes the Rotterdam newspaper 'NRC Ob A2', of July 26th, 1914, which lists the participants as follows. Robinov. Vice-President of the German Chess Federation. Sosnitsky. Member of the board of the Russian Chess Federation. Prof. Gebhardt. President of the German Chess Federation. Hild. Secretary of the German Chess Federation. Ch. Janowski. President of the Lodz Chess Club. Maliutin. President of the St. Petersburg Chess Club. Saburov. President of the Russian Chess Federation. Therkatz Honorary president Rhine-Westphalian Chess Federation. As is well known, the event did not run it's natural course. Without going into all the politics and history which I am not qualified in, war broke out. From what I can gather, Germany had been preparing to deal with the 'enemy aliens' situation for some time previously - particularly in regard to Russian nationals and those regarded as 'Russian Residents'. An internment process for them had been set up. basically, those young enough and fit enough to be able to fight in the conflict were to be detained. Things were, in theory at least, judged on a 'case by case' basis. The major internment camp for Russian citizens was to be the Rastatt camp, near Baden - Baden. Many, many thousands ended up there. It was essentially a work camp, with the 'inmates' devided into large 'battalions'. That is one of the 'battalions'. Living conditions were not good. Lets put it non-judgementally. There is some general material to be found on the internet - here for example. However, there was another aspect to the internment process. Accountants run the World, and those who were able to find the money to pay for somewhere to stay were able to place themselves under 'house arrest' in whatever accommodation they could find, whilst reporting daily to the local police station. That was how most of the Russian chess players at the Mannheim tournament spent the next couple of years. Not being allowed to work, they were reliant on funds being provided - either via family - ( Maliutin seems to have had family contacts in Switzerland ) or through the various appeals launched within Russia and Great Britain. These funds were subject to taxation. If you ran out of money, then you ended up in one of the camps. Gillam gives background on some of the hotels that some of the Russian players found refuge in. For example, for August 1914, the following players were at the hotel 'Petersburger Hof'. The St. Petersburger Hof is now the Schwartzwalderhof. By the start of October those players, with the exception of Alekhine, were to be found at another hotel - 'Haus Bristol'. The only escape from all this was on health grounds. That seems to have been the route which applied to Romanovsky and Alekhine. The reports have the fee for Romanovsky's return to Russia as 200 marks. I first became aware off the Russian internees and the chess tournaments amongst themselves - Maliutin was probably the main organizer, as his participation was limited - as a result of getting this book. Prior to the internee tournaments, Maliutin, who seems to been an expert in blindfold play, and Romanovsky played a series of blindfold games at Rastaat, with Maliutin winning by 4-2. It is possible that these blindfold games came about because the players possessions had been temporarily confiscated. It is difficult to know! As regards the internee tournaments themselves, there is material to be found on the internet, both on Winter's site, and here for example , so I won't go into too many details. Maliutin himself did not play in all of them - it is possible that he played an organisational role, but his limited participation is still strange. We have one of his games. O.K. I shall end with a few extracts from the Rech article mentioned. Apologies for the 'wall of text', but I am doing what I am doing!! ''Two years in Germany: Impressions of a Civilian Prisoner''. The full versions are in Gillam's book, which i would seriously urge anyone interested in any areas of the subject to buy. It is an incredible work. On July 23rd (August 5th) we went with A.A.A. to the ....Spanish consul.... He told us that ....well off Russians should head for Baden Baden. Kopelman - 'but the police director in Mannheim guaranteed our safety'. ...The soldiers of the 40th regiment set us up in formation and started us off in a wild hurry...... 'Walk faster, floppy people' they shouted. and we all quickened our pace. The suitcases mercilessly sliced our hands, the weight became unbearable,, but all the same we had to run. A.A.A. exhausted, fell down, and the brilliant winner of the Mannheim masters tournament received blows from rifle butts''. ( Alekhine himself wrote about the incident later, describing ow one blow to his leg was particularly severe, and left him with a limp. Simaginfan. As a result of intensive work with the telegraph, it became clear that the possibility of a limited choice of a number of small cities and communities existed, and, after some hesitation we resettled in Triberg, a picturesque resort in the Black Forest, at an altitude of 700-800 metres''. ''Back in Baden Baden we had been given a set of quite detailed printed rules, regulating the behaviour of foreigners. In Triberg matters were laid out much more simply: we were told that we could take up residence where we wished, but that we had to report every day at 11-00 a.m. for roll call....report home no later than 9-00 in the evening, and not move outside of the 'vale of settlement'. [As we would describe it today, this was being under ' house arrest', but with the added burden of paying for 'residence where we wished', in a foreign land, with the stipulation that working was prohibited, and the alternative of being taken to an 'internment - i.e. work - camp if the necessary finances were not forthcoming. There were a couple of appeals launced to provide the needed financial support for the interned Russian players. One within Russia, and one in Great Britain - who also had many subjects interned in Germany - through Leonard Rees and the B.C.M. Gillam's book gives a table of funds received in this way and how they were distributed among the players. Apart from a 3rd place tournament prize, via the B.C.F/B.C.M. Maliutin recieved nothing. He appears to have had family, or family connections in - or contactable through - Switzerland. That will explain something of the next extract. ''In Triberg, not only the postal, but also the other authorities examined the letters. resulting in a good half of them being returned with the inscription...'certificate of sender's worthiness required'. The truth was, however much it hurts to recognize this, that our own censors oppressed us much more than the German. Of 105 letters which I sent home, only about 60 arrived, and of those going in the opposite direction, less than half. Matters were little better when it came to receiving money and parcels.
'' As already hinted in passing, the regime in which we lived was suitable for well off Rusians but the poor, or those who became so, were installed in camps. Over some of our chess group the threat of internment hovered more than once, andd only the responses of the Russianc hess circles - sending us money - prevented this danger. But we extend particular gratitude to our allied English chess players who, having considerable needs of thier own and knowing us only by heresay, nonetheless were fully prepared to provide material support, in that way justifying the well known English saying ' a friend in need is a friend indeed., and, as you know, their compatriots, sometimes even millionaires, had long since been sitting in the Ruheleben camp near Berlin''. O.K. I am going to leave it there! ( Lack of time, and unwillingness to exhaust the patience of anyone studying this!! If you want to learn more - including the story of Maliutin's release, etc - then I will point you in the direction of the Book by Gillam shown above. Hopefully I have stimulated some interest in a somewhat forgotten subject, and in an overlooked chess figure..